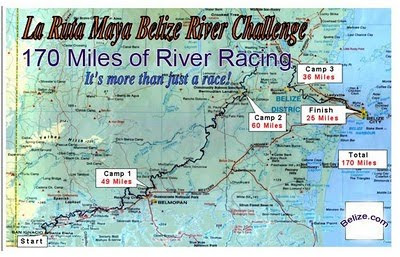 The La Ruta Maya is a grueling 180 mile canoe race held every year to coincides with the Ninth of March Baron Bliss holiday in Belize. The race made its debut on March 9th, 1998. It takes four days from the historic Hawksworth Bridge (the only suspension bridge in Belize) in San Ignacio to the Belcan Bridge in Belize City. 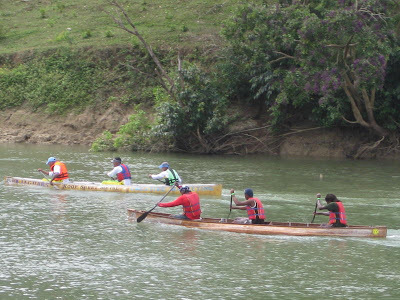 This race was the idea of the local Cayo Tropical Fruits Ltd (producers of Big H fruit juices, Vida Purified water and Mamita milk).Canoe teams are sponsored by various businesses and educational institutions. The eight divisions for the race include male, female, mixed, masters, dory, intramural, pleasure craft and family adventure race. 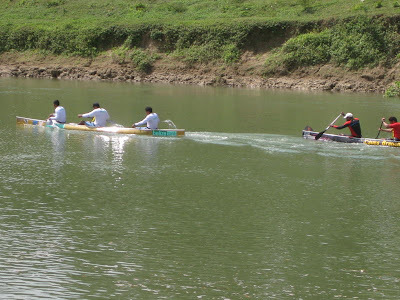 This year, the race started on Friday, March 5th at 7 a.m. between the towns of San Ignacio and Santa Elena under the Hawksworth Bridge, 40 feet above the crossing of the Macal River, and consists of 4 stops before the final dash down the Belize River to Belize City. 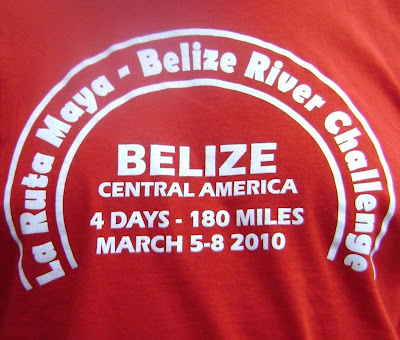 Each evening for 3 nights, participants in the race, their families, relatives, friends and supporters camp out on the bank of the Belize River to cheer on their favorite teams. 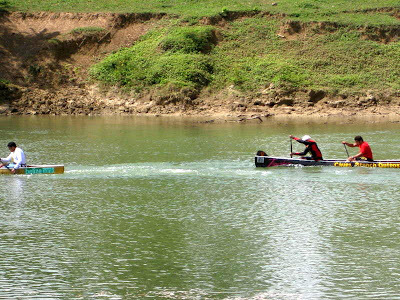 This year 89 teams are participating with paddlers from Belize, U.S.A, Canada, Japan, Australia and the U.K. 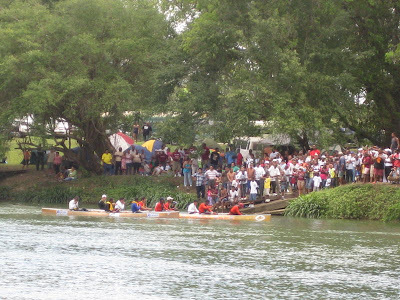 Along the entire route of the race hundreds of Belizean and visitors troop to the banks of the Macal and Belize Rivers to cheer on their favorite teams. 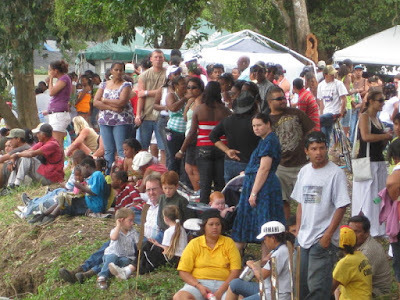 There is music, foods and drinks along the river banks at each of the stops. There are three night stops along the route; the first is the Banana Bank Lodge on the first night, Russel's Place in Bermudian Landing on the second night, and at Old River Tavern in Burrell Boom on the third night. 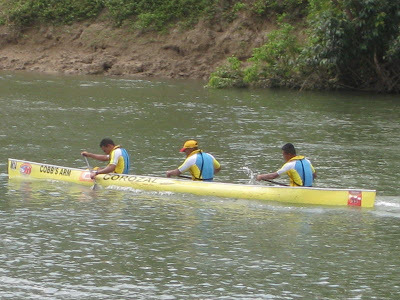 The first canoes enter Belize City at about 10:00 am and the race finishes at the Belcan Bridge where cheering crowds await their arrival, where the celebrations continue at the Civic Center grounds. This day is known as El Dia Final. 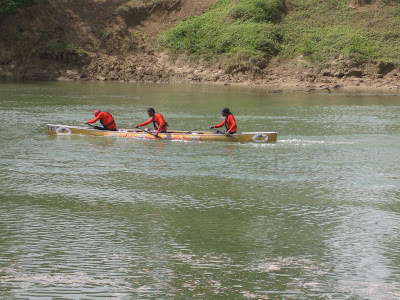 El Dia Final is a project organized and spearheaded by the Belize Tourism Board in an effort to culminate and celebrate La Ruta Maya River Challenge. The general public is invited to this event to enjoy a fun filled day with food, live entertainment, games, prizes and surprises. Entrance to the grounds is free of charge but there will be gate prizes that everyone has an opportunity to win. The awards to the racers are issued at the official ceremonies which take place around midday. All the winners are presented with their awards and honored for their hard work and efforts. There will be over $40,000… in cash and station prizes. Beautiful pics of our country's scenery. Love it! The pictures of this event was awesome. One of my sisters was born in Banana Bank for which she knows nothing about such a place. I wish there was much more publicity on this event so there would have been more participation both in the race and the many spectators. Looks like a really fund day and money making day for our villagers.